I winced as I tentatively asked yet another potentially annoying question of our trainer. As all excellent trainers do, she answered politely and succinctly, then swept the whole group away from my persistent quizzing and towards something much more useful. 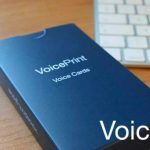 I had originally trained in VoicePrint some years ago and I really believe in its value as a model for effective communicating, but had slipped from using it and was enjoying a refresher course with colleagues with varying experience of the model. I found myself enthusiastically “helping” the trainer to explain concepts, until I realised it was me who was slightly confused. This phrase is aimed at changing the course of a conversation. So, it is the ‘Challenge’ voice. But when I look again, the words read like the ‘Advocate’ voice. For the rest of my group, this was a momentary distraction. Our experienced trainer could see my dilemma, but knew that the real value of our workshop was in reflecting on how we use the voices and how that impacts on our work. After the session, she encouraged me to go on, thinking through my question. I did, and here is what I learned. Firstly, I learned that a voice is defined by its intention and its impact– not simply by the words we choose to use. So, the phrase above is definitely the ‘Challenge’ voice. Secondly, I learned that the any confusion between voices is really important to recognise. More often than we realise, we mask our intent, and cause confusion, with phrases that are socially acceptable or with words that better suit the voices we are more comfortable with. The choice of words infers that this is the ‘Advise’ voice, but every parent knows it is clearly the ‘Direct’ voice. This reads like the ‘Evaluate’ voice but 9 times out of 10 it is intended to “Advise”. “Diagnose” or “Advise”? I’ll let you decide. A mismatch between vocalised words and intent creates ambiguity. The speaker is (hopefully) clear on their intent. They have ideally thought it through and know what they want to say – our internal voices rarely do the masking. The external voice, however, may deliver a set of words that don’t entirely convey that intent. The listener is then left to interpret; divining for intent from the words they hear, the tone, body language and contextual factors relating to the situation. They need to guess at the intent and, unsurprisingly, this leads to problems. Here are three that I can think of. I am sure there are plenty more. It’s quite rare that the listener completely misinterprets the intent of the speaker, but it does happen. It is a particular risk when working cross-culturally. British people are experts in not stating what they are saying. This is evident in classic phrases like “I’ll bear that in mind”, “no, really, I shouldn’t” (usually when offered a biscuit), and the all-time-great “you may say that, but I couldn’t possibly comment”. My personal experience came when my partner (a fluent, but non-native, speaker of English) moved in with me. As evening drew in, I would say, “Do you want to turn on the light? She would think “not really” and carry on with whatever she was doing. We sat in the dark, literally and metaphorically, for several months until we worked it out. In any situation, if the listener guesses the intent wrongly, the outcome is an opinion or action that was not intended. In more serious examples, this can lead to confusion and wasted time trying to undo the damage, explain the misunderstanding or start all over again. Very often, the words we use are selected to soften a demand or an expression of feeling. It is a form of understatement (again, very popular in the UK) that can be detrimental in two ways. If instructions or requests are not clear, then things won’t happen as required. Here are two phrases with the same intent that could elicit different responses. The important hidden cost here is not a late report, but a reduction in trust as the requester feels the deliverer was a little slack in getting the report in on time, and the deliverer feels unfairly judged as they did what they understood they were asked for. The second problem that comes from this softening, or understatement, is a perceived lack of honesty. It can create a feeling that the speaker is not expressing things in a fair or honest way. When managing teams, I have frequently found myself asking if “we” could “pull that together” rather than if “you” will “develop the entire presentation”. I felt like I was being friendly and creating a collegiate atmosphere. 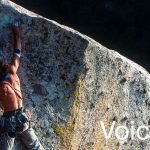 VoicePrint taught me that, I was potentially failing to recognise the efforts of my team and the significance of their work. 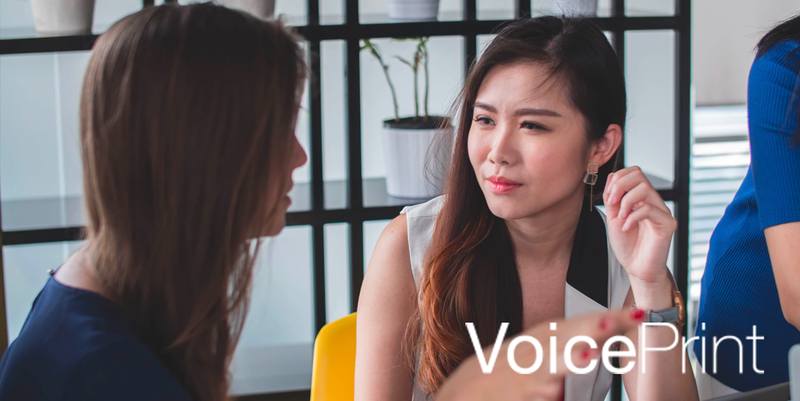 It is common that we say things in the form of a question, making them sound as if we are Inquiring, Probing or Diagnosing, when our intent comes from a very different part of the VoicePrint triangle (Advise or Advocate for example). Through this, we run the risk of seeming insincere. Our questions contain suggestions or thinly veiled opinions. We can seem to have a pre-defined agenda and as if we are not genuinely interested in the ideas or views of our listener. This sort of masking would almost certainly make it difficult for the person we are speaking with to openly answer the question we are asking. Instead, they might easily feel pushed into taking a position. In some cases they might not feel there is an option to answer the question at all – why bother, if an answer is already being put forward. More worryingly, it might make the person we are speaking to less inclined to engage in the future – both short and longer term. In turn, it is not hard to see how this could lead to a “boy who cried wolf” situation. In the future, when we genuinely wish to use the ‘Inquire’, ‘Probe’ or ‘Diagnose’ voices, our listeners might not quite believe it to be genuine. Unbeknown to me, my trainer had done a great bit of coaching – setting me off on a path of reflection and a search for answers to my own challenging questions. I’m delighted that she did. Not only do I feel more confident about my understanding of the voices, I have also had the chance for some deeper reflection into my own communication challenges. 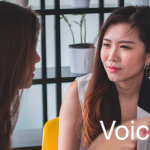 As is so often the case with VoicePrint, it provided a frame in which I could see the topic more clearly and, from which, emerge really practical steps towards more effective communication. Making my words match my intent won’t be easy, but I’m convinced that it’s worth the effort. The guest contributor to the blog on this occasion is career humanitarian professional Charlie Dalrymple, one of the first people to become trained and accredited to use VoicePrint.